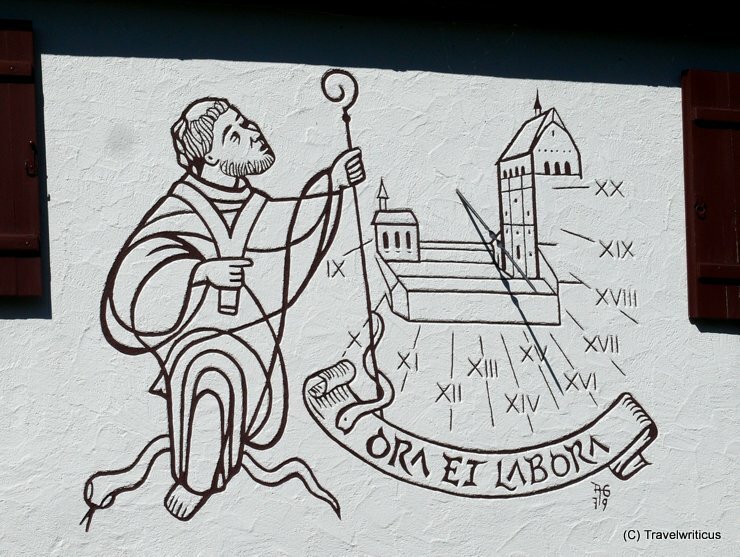 This sundial is located on a wall of Reichenau Abbey on Reichenau Island. 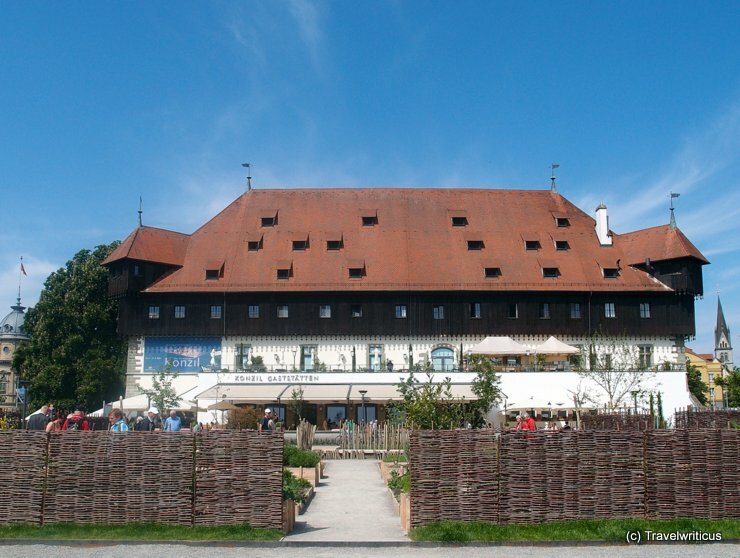 It shows not only the motto ‘Pray and Work’ (ora et labora) but also Saint Pirmin, the founder of Reichenau Abbey. 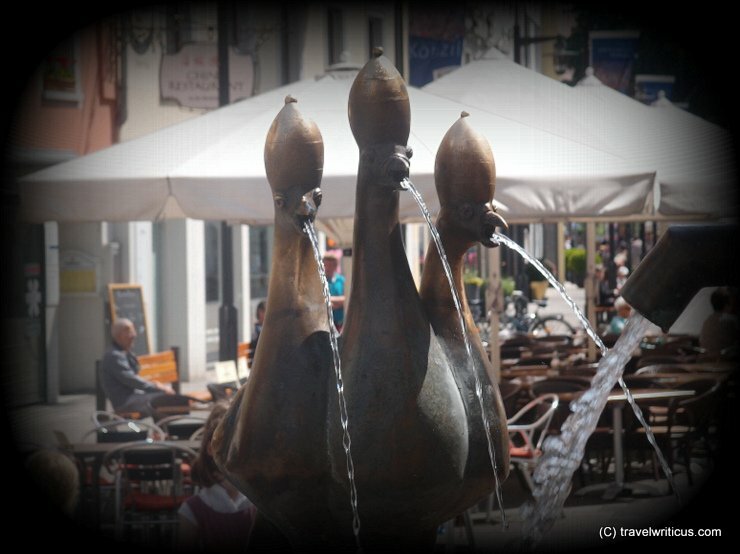 The two snakes refer to the fact that he is considered to be a patron against snake bites. 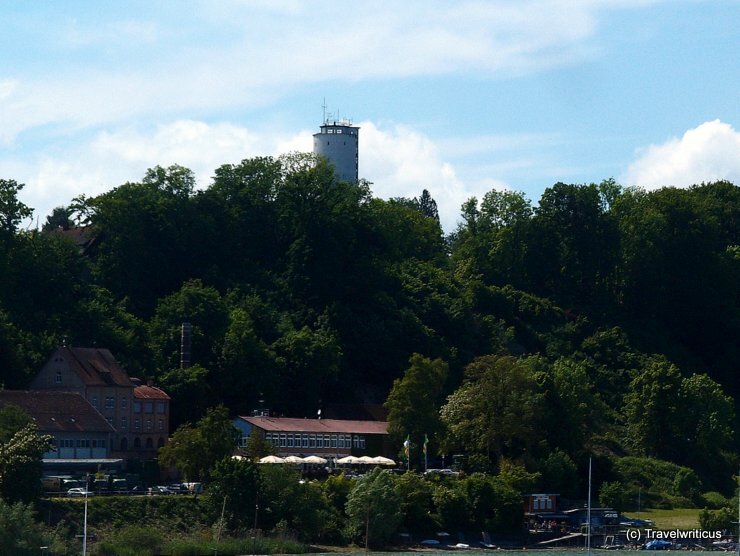 While crossing Lake Constance from Meersburg to Constance by boat I took this photo of a conspicuous white colored tower named Otto-Moericke-Turm. 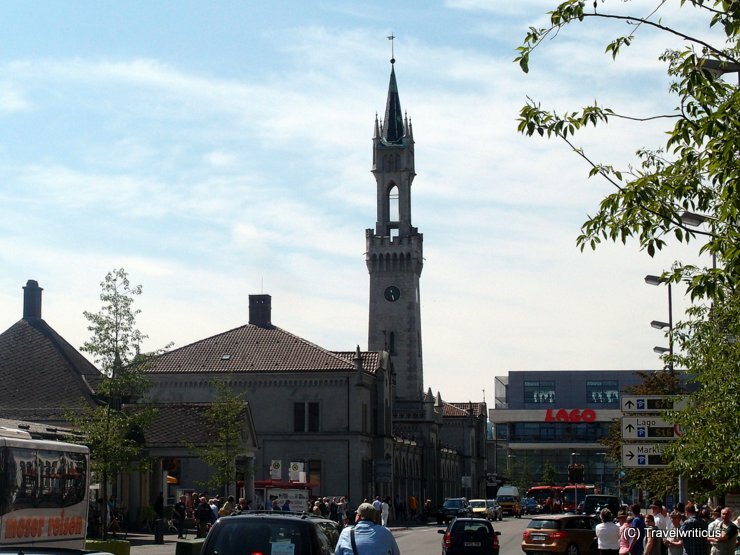 It is a former water tower which houses a youth hostel now. A fine address if one would like to stay at something special. 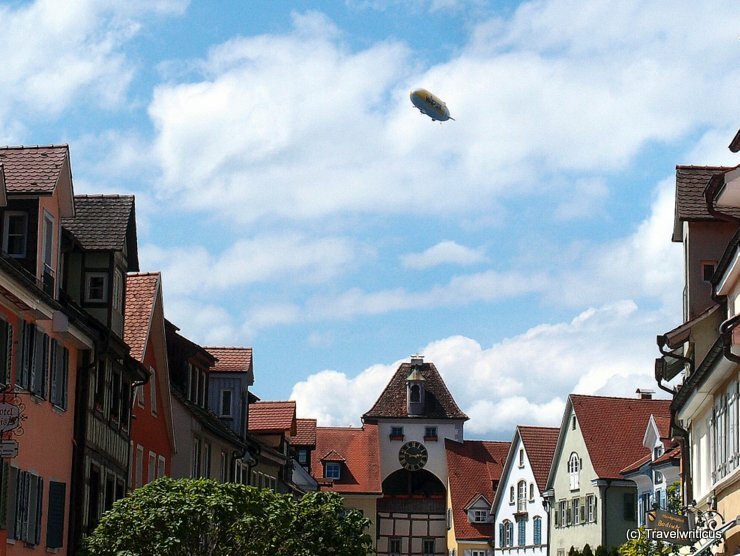 A modern airship passes Meersburg. 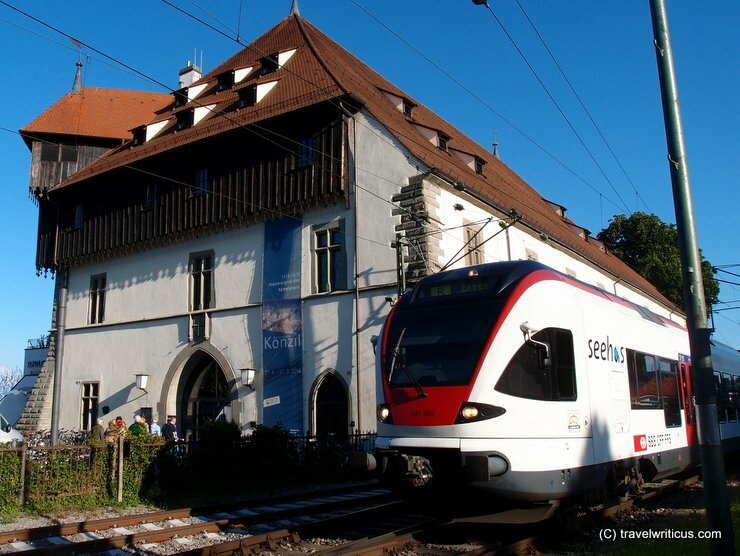 A common view at Lake Constance as there are companies offering scenic flights with this kind of aircraft. 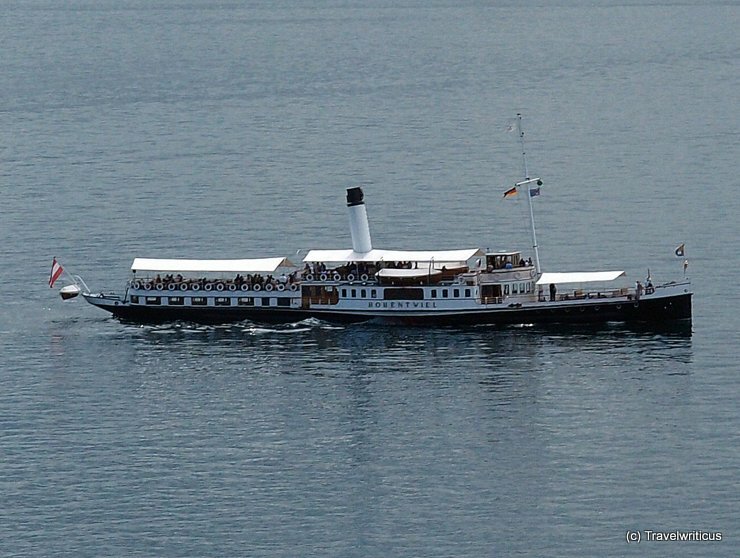 The ‘Hohentwiel’ is a paddle wheel steamer built in 1913 still in use on Lake Constance. 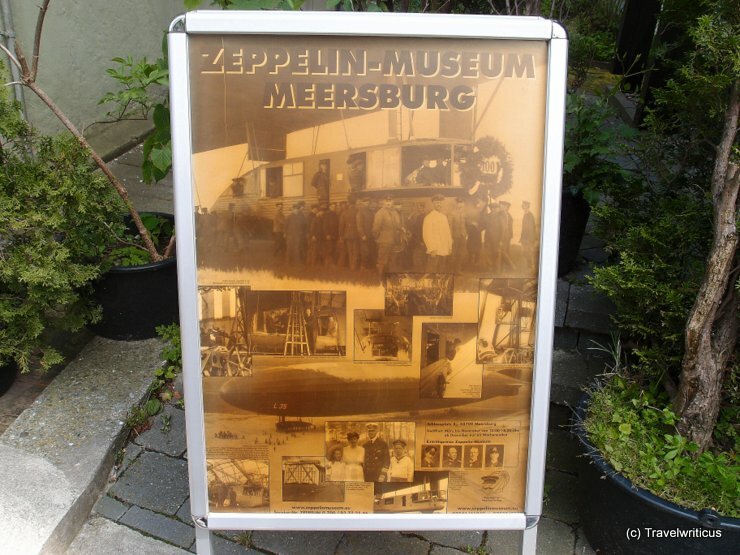 On my way to Meersburg Castle, I came across this Zeppelin museum located in Meersburg. If one interested in this kind of airships this museum and the Zeppelin museum in Friedrichshafen nearby would be a good combination.